Are you part of a team, research group or department at a university or institute where a number of people are looking to expand your methods to include digital video but lack the skills? Perhaps you are a teacher at a College or University wanting to organise training for your pupils in filmmaking? Or, maybe you work in the communications, PR, or marketing department of an organisation or company - be it a non-profit or a business - and know that the team would benefit from upskilling so that you can create high quality online content to promote what you do. We can deliver our Digital Video Production training to a group of 6 or more people at your premises whatever the context. We can also host you here in our studio in London if you prefer. We can provide equipment and can travel anywhere within the EU (NB: we require expenses to be covered). We can also offer bespoke packages to meet your needs and are happy to discuss specific requirements. For more information and for a quote please contact us. “Concise yet comprehensive. Left me feeling like I could create a worthwhile video from scratch”. "Mark really knows his subject, and I found the course motivating, practical and enjoyable. I came out with loads of ideas." “In two days you really get a feel for what you can do with a camera, theoretically as well as practically." "The theoretical explanations were really clear, while the practical exercises helped to bring them to life and make them stick." "It was really useful to learn how to critically view the material we shot and be able to correct mistakes, understanding what works and why." 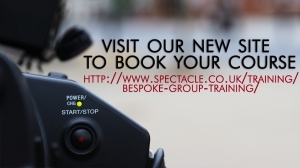 You can find more information on our standard two day Digital Video Production Training Course here.